Best Instant Win Games at PCHGames.com. Most of you know (PCH) Publishers Clearing House‘s by their multi-million-dollar giveaways, which you can enter through the either by conventional mail or online (PCH.com). But did you know that there is another way you can win with Publishers Clearing House? Indeed, you can play and win with PCH games at www.pchgames.com. The PCH Games online is an online gaming portal owned and managed by Publishers Clearing House llc. The games were introduced in the site with the sole aim of helping customers of the organization have fun-filled moments. But also the chance to win big money cash prizes. There are thousands of free games that can be played in this site. In addition, you can also win great incentives. By playing games like PCH Mahjongg Dimensions, Spider Solitaire, or Video Poker, you can earn tokens. These tokens can be redeemed for entry into giveaways with prizes like gift cards worth between $50 and $500 or drawings to win even more tokens. You can use your accumulated tokens for chances to win prizes in Publishers Clearing House big-money sweepstakes. Each day, PCHgames offers a chance for game players to win up to $500.00 instantly with the Instant-Spin-to-Win Wheel at PCHGames.com. The games featured versions of high quality of the best instant win games games. Some of the most popular games that ne can play in the site include varieties such as Feeling Lucky? Play casino games like blackjack, roulette, craps, and slots for free at PCHgames. Don’t forget, you also have chances to win great prizes!. In addition to these popular games, there is a collection of others that you can browse by the game topic. Examples of the common game topics used in classification of PCH games online include categories such as sports, arcade, cards and strategy, trivia games, and instant win games. For visitors of the site to enjoy the services and other contents offered, they need to have accounts. Opening an account is free and allows gamers to have a lot of benefits. The designing of the website has been done by professionals in the gaming industry to ensure excellent maneuverability. The software, graphics and usability have been updated with the latest cutting technology to allow excellent gaming experience to the players. PCHGames.com a place where you can have fun and collect tokens for a chance to win awesome prizes. With PCHexclusives you have more ways to win; You can score 1,000 tokens with PCHonlineSurveys where you can share your opinions and earn rewards by visiting PCH Surveys at www.pchonlinesurveys.com. You may also want to take a look at PCH Prizebar where you can score 5,000 Tokens (www.pch.com/prizebar). Our next article will be about increasing your chances and how to win instant win games ? I’m your next visit so just know ill be home till you get there all day. Love the games like majjohn minute, tri peaks, black jack and sweepstakes entries. So much fun . I want to claim all entries and complete final steps and have prize numbers eligible secured, claimed and put into winners selection drawing! Thanks PCH! I want the prize Patrol to come to my house with the big check !! I will be waiting…I hope I am not disappointed. Happy New Year! Today is Wednesday.I honestly want to win an instant cash prize from PCH Instant Win Games GWY “24 Hours of Prizes”. It will be super if i win! PCH HAS REMINDED ME ONCE AGAIN THAT PRIZE PATROL COULD BE COMING SOON IF I AM CHOSEN THE WINNER. I DONT KNOW WHAT OR IF I’M WINNING. ANYWAY I’M WILLING, NO MATTER IF I ONLY WIN $5000.00 PER WEEK FOREVER OR A DOZEN ROSES FROM A NEARBY FLORIST, I’LL BE ELATED. I’VE DONE MY PART AND AM READY TO WIN. EVEN THOUGH MY STROKE AFFECTED LEFT HAND HAS MADE ME A HUNT AND PECK TYPIST, THIS SHOP AND SEARCH PCH SWEEPSTAKES AND OTHER CONTESTS HAVE BEEN FUN. NOTICE PCH. FORGET MY NAME ON THE $10000.00 PER WEEK CONTEST. GIVE THAT ONE TO THE USA GOVERNMENT. THEY PROBABLY NEED THE MONEY AND MY TAXES WOULD GO UP IF I WIN THAT ONE. I HAVE ENOUGH PROBLEMS BUT AIN’T LIFE FUN. I HAVE NOTIFIED PCH THAT THE MAP THEY HAVE IS CORRECT. MY HOUSE HAS BEEN HERE FOR OVER FORTY YEARS AND EVEN THOUGH THE MAILING ADDRESS HAS CHANGED FROM A RURAL ROUTE NUMBER TO A PHYSICAL LOCATION NUMBER. PERSONALLY I MUST ADMIT THAT I AM PRESENT BUT I’M MENTALLY NOT ALL HERE. I’M SHOPPED UP, SEARCHED UP, CONTINUED UP, AND READY TO WIN. COME ON PCH, I’M READY TO WIN. I AM SHOCKED TO SEE MY NAME AND EMAIL ADDRESS ABOVE THIS SPACE. AFTER SEVERAL YEARS I THOUGHT ANYTHING I ENTERED DROPPED OUT OF SIGHT FOREVER. THIS IS TO LET PCH KNOW I’M STILL SEARCHING, SHOPPING, HOPING TO WIN SOON. I’VE ALREADY PURCHASED CEMETERY LOTS AND MARKERS AND HOPE TO WIN BEFORE USING. PCH KEEPS REMINDING ME THAT I MUST LET THEM KNOW THAT I STILL WANT TO WIN. I HEREBY NOTIFY THE WORLD INCLUDING PCH THAT I WANT TO WIN. WITH MY LUCK MY COMPUTER WILL FREEZE UP AND USE MY PURCHASES AS PCH AWARDS MY PRIZES TO FROZEN COMPUTER. Please let me know if i am close of winning.i can.t use my phone because it.s off. Please help me. Pch i really need help.my. name is sebrina Johnson. Please help. I’ve been playing P C H for many many years now.This would be a dream come true.I have #4900 to win 10,000.00a week for life plus I also have #3080 to win 5,000.00 a week for life.I used to mail my Mother’s in .We waited but never heard anything.I lossed my Mother August 30th 2015.I never gave up trying to win still. I’m in Michigan.never seen or heard anyone from Michigan Area a winnet Yet? I have alot of faith that .my true will be coming soon .I’m close to Detroit MI.But in Temperance MI.I really hope I would win anything. Thank You very much P.C.H. P.S. I love playing all the games everyday also.. I am hoping to win one of the big check that PCH is offering by playing their on line games. I would like to win the 5000 a week forever prize please. I would to win some money.because my grandson need surgery. he is nine year old. He like to play football. Thank you have a bless day. PCH IM CLAIMING AND ENTERING, I WANNA WINNNNNNNN!!!!!! THNX PAULINE….. I wanna wanna Win PCHGames and $5,000.00 A Week “Forever” Sweepstakes in Feb. 27th, gwy no. 3080, 3148, 3577, 1830, 3726, 3727 pls acticate All my entries so i can Winnnnnnnnnn thnx in advance Pauline….. If I win I will take care of my family. If Your Dreams Don’t Scare You It’s Not BIG Enough..Each Day My Dreams Scare Me Publishers Clearing House…I’m Ready To Live Out My Dreams Amen. I wanna wanna Win win win!!!!!!!!!!! Ready For My New Life Journey Publishers Clearing House.Amen. I Walk The Pathway Of My Success Proverbs 3:5 Amen.. If by God’s grace I win, I will give 10% to our church. I will pay off my debt and set up trust funds for my grandchildren and Great-grandchildren for their education. I would also help feed the children and the poor older people. I praise God for the Hope he gives us. I praise Him for what He has done in giving us His Son so that those who believe in Him will receive salvation and be able to go to heaven. If I do not win I hope that the winner will help the hungry children and elders. Publishers Clearing House Faith Is Seeing The Invisible And Knowing That God Will Do The Impossible. Amen. Publishers Clearing House I’m Waiting Patiently On My Turn. Amen..
Where There Is Life There Is Hope Publishers Clearing House. Amen. Publishers Clearing House I’m Ready For My Greater To Happen….I Believe That My Greater Will Happen On November 25th Amen.. I search even day and hope that I win pchsearch&win I search and entry everyday. I wanna wanna Win win win win!!!!!!!!!!!!! PCH i wanna wanna Winnnnnnnnnnn!!!!!!!!!!!!!!!! has. SO I SAY GOOD LUCK TO EVERYBODY. I would very much like to win,God’s GIVEING ME the will to go on,an NOT to give up. 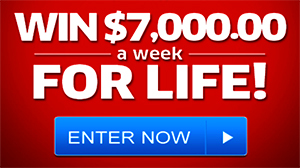 I would really like to win,$ 5,000’00 a week for life. I want to win. I want to win. I want to win . I want to win. I want to win. PCH I want to win the and there are some great ways to win Taking pictures The 10,000,000.00 the . Token games and the instant winning games and the 1,000.00 instant jackpot wow what a wow what a lot of ways to win. I want to win the 10,000,000.00 and I want to wing the 5,000.00 a week forever and the 1,000,000.00 a month for life. PCH I want to win. Rally I Do. I could really use some instant cash. I’m going on my first vacation in ten years with my son and his wife and son to Atlantic City. They are treating me to this lovely vacation, but I would like to have some money to spend. That would be awesome! I want whatever god wants let thy will be done im happy for whoever becomes the big winner. We are all winners! I pray so hard everyday to win a sweepstakes. I would do Gods will and help some that are struggling as I am today I pray this is my season. I’ve been through a great deal of hardship and this would b a miracle in my life and the lives of others. Hey PCH how may can I say I want to win and I really do. want to win the 5,000.00 s week forever. and Leave a legacy for my children. Would you pls pls pls Register me??? Because I would Winning $10,000.00 and or $1,000.00 Daily Instant Prize… I wanna wanna Winnnnnnnnnn!!!!!!! PCH for today June 27th 2014 i Pauline McPherson-Thomas was Win $2,000.00 in cash and prizes, u bet i do…..
Every day I look forward to playing with PCH and reading all of the comments from all of the people that,s sending them, they touch the top and bottom of my heart,I will love win to help them all, as well as myself…. I been playing this game everyday never win any cash prize but i do win token so i can come back and do the same thing over and over again. all it is just entries to opportunity to win cash prizes. i remember playing the casino cash game and when i spin the wheel and it stop on the $1,000 cash instead of the number sign to see how many space u can move … i was so excited thinking to myself for the first time i actually won something but my happiness end pretty quickly when the wheel turn back to the number sign instead of staying in the cash prize sign where it should supposed to be at in the first place. i feel like i was trick to play pch instant cash game thinking i would win some money. i love to playing daily game all the time but you never now what happen. this year. i love p c h.thank you. shammy. I have been on and off entering your contests.. And I am 70yrs old now sure wish I could show my ex wife and two boys that it was worth all the things that I have bought over the years… Ps you have me down since 2009 but look into it you fine that been with you since 1972 live in Norco, Ca. I love the PCH games. I do the strategey ones, you know the ones that make you think? I do the others too but these are thinkers and that is what I’m thinking of winning to win the $5,000 A-Week-For-Life Sweeptake. Pch & Crew I’m waiting for you, you are the greatest. continu pch search engine, you will learn many things while you search.